We’ve all heard the remodeling horror stories, right? From the “my contractor tore out my kitchen then disappeared for two weeks!” to the “there is dust everywhere!”; our team of specialists at Sea Pointe Construction are well aware of such residential remodeling mishaps and employ strategic processes to avoid them. Below are a few of Sea Pointe Construction’s go-to tips for getting our clients through a residential remodel, no matter how big or small. First and foremost, know what you’re getting into. One of the greatest services we can provide to our clients is setting realistic expectations. The general contractor is responsible for clearly communicating the construction aspect of a residential remodel. Talking through the nitty-gritty during the planning process will save the homeowner copious amounts of stress and confusion throughout their remodeling project. Similarly, it’s important for the homeowner to communicate any concerns surrounding the project before construction begins. Traditionally, homeowners are concerned for the safety of small pets or children and the security of their home during construction. Safety is always key, but raising concerns like these before starting a residential remodel will give the homeowner and their general contractor the chance to set a specific plan-of-action. Commonly completed by the Sea Pointe Construction team, kitchen and bathroom remodels are the apple of every homeowner’s eye. Seeing as these areas of the home are considered “high traffic” and are essential to everyday life, it is important for homeowners to designate substitution areas where the normal functions of these rooms can be carried out. For a homeowner, demo-day can be one of the most exciting remodeling milestones. However, this excitement should never be followed by the stress of realizing that you have no place to cook dinner for the next 6 to 8 weeks! 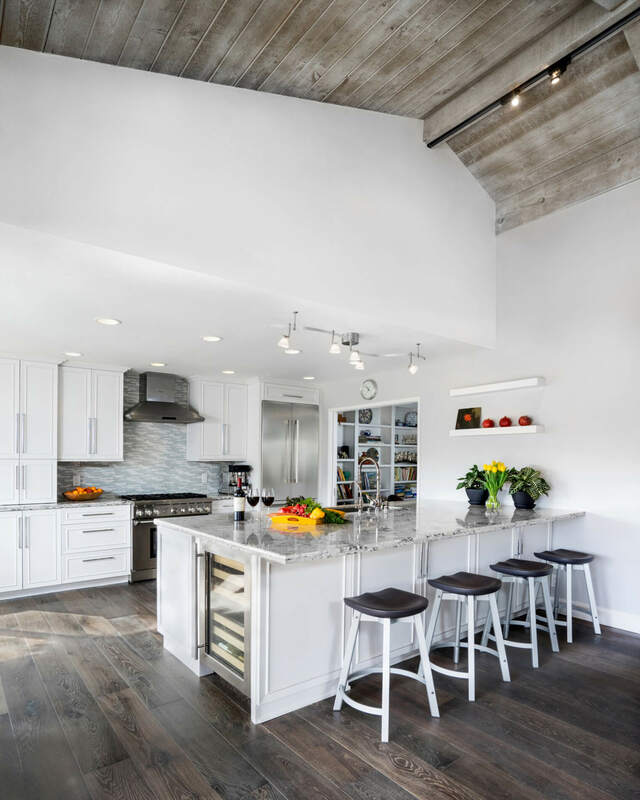 Communicating how practical the use of a space will be during an upcoming remodeling project is the responsibility of the general contractor, allowing the homeowner to plan accordingly. Take steps to control the dust. Unanimously, dust is the largest nuisance and one of the hardest things to control during a remodel. If, after having a conversation with your general contractor, it is decided that living in your home during construction is a practical and safe option, there are a few strategies for dust control. Sea Pointe Construction offers a state-of-the-art HEPA filter to those clients with dust concerns. This filter has an “always on” feature which allows for air purification when necessary. In other words, this filter is working to control the dust in our clients’ homes 24/7, not just during construction hours. Upon agreement from our clients, adding this air-filtration system to a jobsite can make all the difference for those clients with asthma or dust sensitivities. Last but not least, remember the big picture. Residential remodeling is not a perfect science, and no matter the level of preplanning, an unforeseen bump in your residential remodel project may arise. The best thing to keep in mind during a potentially stressful time is just how amazing your end result will be. Soon enough, you will be so busy enjoying your beautiful new space and the path that led you there will have been worthwhile. Customizing the aesthetic and functionality of your home is an amazing opportunity, and,when working with a credible, knowledgeable and trustworthy team, remodeling can be an amazing experience.